A leader of The Jammu and Kashmir's Peoples Democratic Party (PDP) on Tuesday lashed out at former chief minister Mehbooba Mufti and accused her of obliterating the party by promoting nepotism. Party leader and former minister Imran Raza Ansari also hinted at exiting the party. "I have been telling Mehbooba Mufti for a while that I feel suffocated in this party. From the time she has joined PDP, she keeps thinking about benefits of her relatives. Nepotism has destroyed this party and the entire Kashmir," Former minister and PDP leader Imran Raza Ansari told media here. "I told Mehbooba Mufti some time ago that 'humne aapko khuda-hafiz kar diya hai'. We are stuck for now as we are MLAs, but we are ready for elections. We want to work for public even if we have to change 50 parties for this purpose," Imran Raza added. 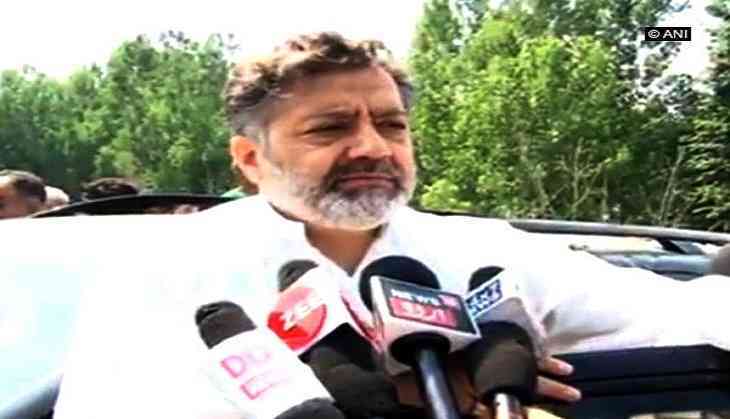 Imran Raza's statement comes amid speculations that PDP may ally with Congress and the two together with the support of other smaller parties and independents may seek to form a new government in the state. Meanwhile, Mehbooba on July 3 rubbished rumors of PDP-Congress alliance in Jammu and Kashmir. She took to Twitter to clear the air about the possibility of an alliance between the two parties.